Did you know that September 22nd is National White Chocolate Day? I am a huge lover of white chocolate, so this day is right up my alley! To help you celebrate, I have put together a list of 40 yummy recipes that include white chocolate in them! Enjoy! What a great roundup. I’m a white chocolate fanatic to the max! Thanks for including my White Chocolate Strawberry Fudge Brownie Bites. What an amazing list! Thanks for including me! So many yummy ways to use white chocolate in sweet treats! Thanks for including my white chocolate covered coconut cherries. White chocolate is so under appreciated..thanks for this roundup! 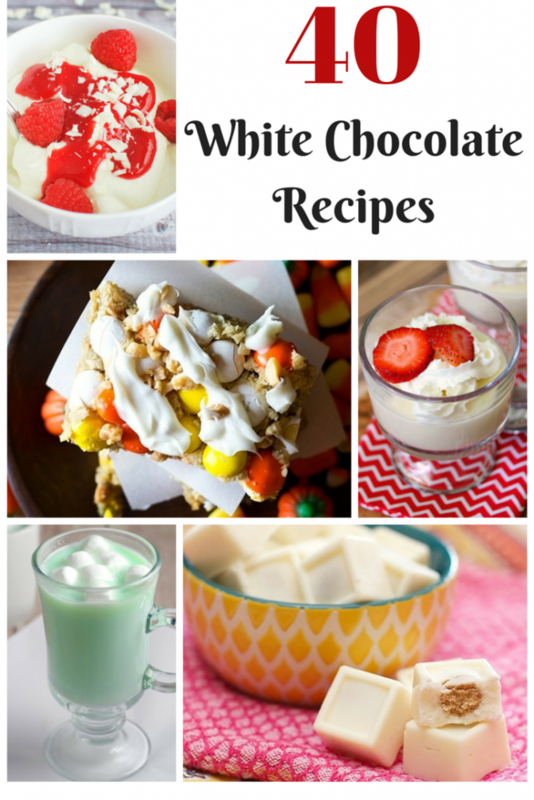 We love white chocolate and all of these recipes look so good my family would love all of them. Will have to give some a try . I love white chocolate. Thanks for sharing these.